March 23, 2015 part four, I want you to see what is beautiful! 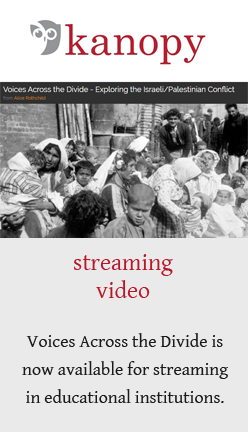 Through some personal connections in Detroit, I end up calling two cousins who live in Gaza City, planning to share with them my documentary film, Voices Across the Divide, which features some of their family, and to deliver a small gift from the Detroit branch of the diaspora. Two well-dressed men arrive promptly at Marna House where I am staying; we sit together while I nosh on humus and lentil soup, although they do not eat, and soon they are inviting me for dinner the following evening. After an arduous day, I plan to be “off” in the evening, but there are some moments that I need to share with you, if only because they contradict any preconceptions 99% of Americans have about those terrorists in Gaza who want to run Israel into the sea when they are not busy strapping explosives to their babies. So, a man in a dark suit, with a warm face, thick black eyebrows and mustache, (I will call him Ahmad), arrives to take me to one of his family members. It turns out he works in the Ministry of Health and had something to do with the granting of our permits to Gaza. He has advanced degrees in business administration. (I never did actually figure out in this family who was related to whom but let’s just say they are all related or engaged and soon to be married.) The first striking thing about walking the irregular streets of Gaza at night is that there is no electricity; generators parked on the street roar and grind, burning hundreds of dollars of fuel to illuminate an apartment here and there or, just imagine, your refrigerator. This is a real problem if you only have electricity 4-12 hours per day and forget about internet or TV, checking some tidbit on your smart phone (they do like to do that) or completing your engineering or English literature report for university due tomorrow. This also means that no elevators are working in case you are elderly or obese or disabled. The apartment of relative #1 is richly decorated with lush green curtains and decorative upholstery, I am warmly greeted by Ahmad’s cousin who owns a toy store downstairs, and his playful, sniffling one year old son, sweet wife, new baby, mother, sister, and fiancé, a nurse at Shifa Hospital, (bombed in 2014) who offers me a cigarette. The conversation is all about family, the recent engagement party, the upcoming wedding. I look at their photos and videos, they look at mine. When I show them a photo of my daughter’s chicken coop in Seattle, the response of these city folk is a big chuckle and “They look like angry birds!” Apparently phone games are more common than our clucking egg laying friends here). I drink Coca Cola and then tea with mint and protest the fancy glazed cake with all sorts of sugar frou frou that they have bought in my honor. I guess in Gaza it is always best to eat dessert first. This visit is notable for its generosity and warmth and for its profound ordinariness, a normal family sharing a pleasant normal evening, lots of laughter, with a guest from a faraway land that they cannot possible reach. We walk several irregular blocks, using the flashlight from Ahmad’s phone, past occasional clusters of young men and racing cars. I briefly consider the risks of being kidnapped, (I am told not by Hamas, but perhaps by some aberrant militant group in need of ransom money). I am immediately embarrassed by such thoughts, but you know, it is really dark and I do not have a clue as to where I am going. We hike up to Ahmad’s house, creep up irregular concrete stairs, which he has rigged with special bulbs that run off a battery and he proudly shows me the Rube Goldberg contraption that provides his home with regular electricity. His attractive and friendly wife is wearing ear muffs, (no hijab) because the newly acquired apartment is cold and bare, save for some plastic chairs and a table. A twinkly 1 ½ year old boy sprints and hops around the apartment at break neck speed. He has some fascination with all things electrical or panels with on/off switches. The kid is in constant motion and has a totally engaging smile. I love him instantly. He vaguely understands how to play ball, dances to some Disney song from years ago, but cannot stay still long enough to watch me perform my epic The Itsy Bitsy Spider. Maybe I have lost my touch. I try sitting on the floor to no avail and soon name him Little Monkey. Ahmad’s wife serves coffee and we talk more about children and the lack of electricity, and how things felt during the war. Apartment # 3 is a brief car ride away and this time there is a great leap forward in the number of relations, but let me say, the older wife looked beautiful in a turquoise hijab and heavily embroidered black and turquoise Palestinian dress, the men tended towards suits or some level of respectability, there were a lot of businessmen types, a lawyer who cannot practice since he has no recognized papers or credentials, and the two youngest college students could have stepped out of Harvard Square. There was much talk about how each person ended up in Gaza, was it a laissez passe, a travel document from Egypt, crawling through the tunnels, expulsion from you name the Arab country, some trained in the US, in any case, everyone is now trapped in Gaza and angry and frustrated about that, along with the lack of electricity, the wars, the crazy dysfunctional politics. People want to talk about how much ISIL has nothing to do with Islam, how Islam is a religion of peace and tolerance; how Jews and Palestinians can easily get along and have in the past. There was a lot of reminiscing about the good old days of shopping in Tel Aviv and Israelis getting a good deal in Gaza City. When they found out I was Jewish, everyone was warm and accepting. “You are shining, you are beautiful, you look like…(I think she was looking for something culturally appropriate here)…a menorah!” People support the BDS call and were in general utterly disappointed with the elected and non-elected leadership. Everyone is sick of war and dreams of travel. The mother who is also a teacher has made a classic totally over the top food for an entire army Palestinian kind of meal: pre-meal frozen strawberry/lemon/sugar/vanilla thing (their own strawberries), then drink water, juice, and approach the bulging table cautiously. Large platters piled with some kind of fried, breaded? chicken cutlets with garlic/olive oil/lemon sauce, rice and strips of beef with toasted almonds and delirious spices and some yogurt type sauce, two different salads with greens from their garden, divine thick French fries with parsley, some other meat ball (maybe or was it chicken) baked in a sauce…. And so it went. I find a total of three different people heaping things on my plate if I let my guard down for an instant. I am assured that everything is healthy and they never throw food away, they eat it tomorrow. And would I come out to the porch to sniff and admire all the herbs and petunias that are having a party out there too? The mother explains she no longer cooks fish (spoiler alert, the entire Gaza Strip is on the sea coast and a major source of livelihood used to be fishing) because the fish are now all too small and polluted. Thank you Israeli navy and the ever shrinking fishing zones. His college friend who trained at the American International School in Gaza and looks like he could be from Minnesota, drives us all home in a clunky old van, through the dark brooding city. He asks me when I will be free. He earnestly explains that he wants to give me a tour of Gaza, the port, the beaches, “all the beautiful places” that no one ever sees. Now that would be really lovely.